Heat oven to 400 degrees F. In large bowl, beat 1½ cups sugar, the butter, shortening and eggs with electric mixer on medium speed. Stir in the flour, cream of tartar, baking soda and salt. Shape dough into 1¼-inch balls. In small bowl, mix ¼ cup sugar and cinnamon. 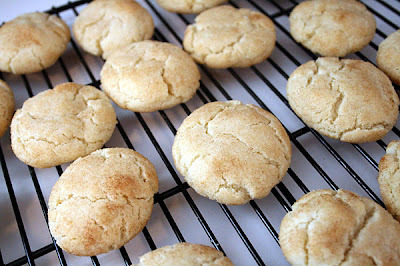 Roll balls in cinnamon-sugar mixture. 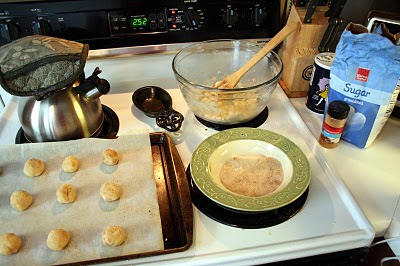 On a greased cookie sheet (or lined with parchment paper), place balls 2 inches apart. Bake 8-10 minutes or until set. Immediately remove from cookie sheet to cooling rack.